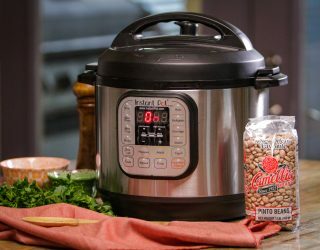 Cooking beans in the Instant Pot is super fast and cooks a pot of beans with no hands-on attention required. 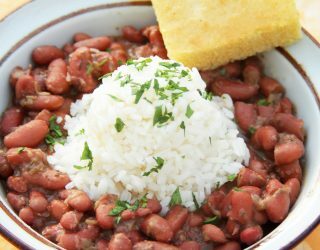 This basic recipe is perfect for flavorful beans that can be used in many ways! Serve over rice with your favorite toppings, or use in Black Bean-Stuffed Sweet Potatoes, Black Bean Quinoa Salad, and Black Bean Hummus. 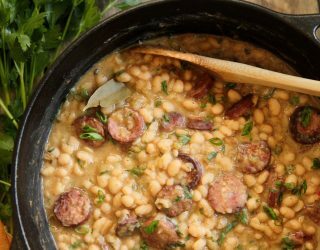 Quick to make, cheaper, healthier, and more flavorful than canned beans! Add all ingredients to the Instant Pot. Cover, twist to lock the lid, and turn the valve to sealing. Press the Beans/Chili button. When the timer beeps, allow the pressure to release naturally for at least 20 minutes. Then, turn the valve to venting. 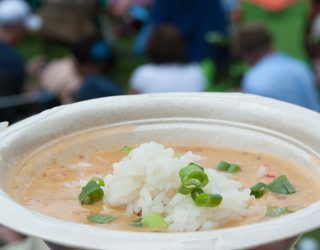 Enjoy cooked beans over rice, or use as you would canned beans. 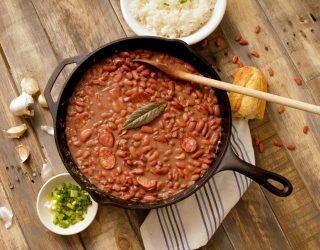 If not using right away, store beans along with any excess liquid, in an airtight container in the refrigerator up to one week, or freeze for up to 6 months. 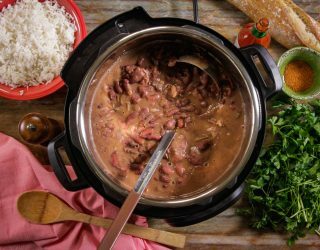 Just as with the stovetop, there’s no need to soak beans before cooking them in the Instant Pot. As you’re preparing your ingredients, plug in the Instant Pot, and press the Sauté button. This will allow it to pre-heat, helping it to come to full pressure faster once you’ve selected Beans/Chili mode. After you’ve added your ingredients and locked the lid, press Off to end Sauté mode. Then, select Beans/Chili mode. 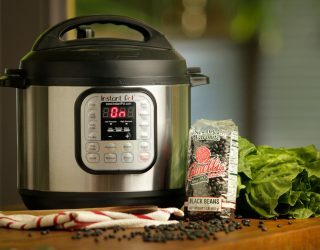 If you prefer a slightly firmer bean texture, use the Manual mode and set the timer for anywhere from 25-27 minutes. 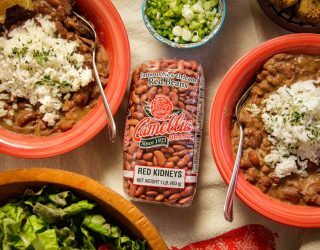 Choosing the Beans/Chili mode cooks the beans for 30 minutes and is a no-brainer, but finding your perfect cooking time/texture is a personal preference that benefits from some experimenting. 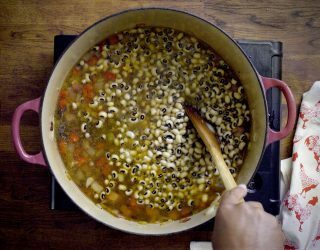 The general rule of thumb is 4 cups of liquid for every 1 cup of beans, but again, you can experiment for personal preference. As long as your beans are covered by at least 1 inch of liquid, you’re good. 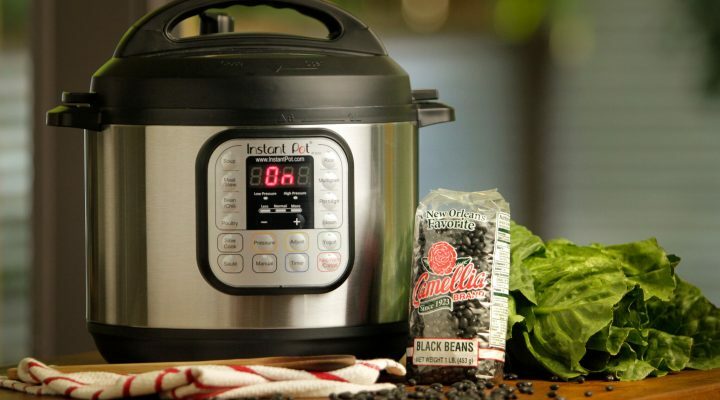 When cooking beans, never fill the Instant Pot more than halfway full. Beans and grains expand and need the space to do so. As noted in the recipe, it’s important to allow the pressure to release naturally for at least 20 minutes before turning the valve to venting.